1. Will I not get banned? Is there a possiblity for RateMeUp users to be penalized by counter providers? Let me put it this way; for two years of RateMeUp being actively used by thousands of people, we have encountered just a few cases of a single day ban by Liveinternet, without any long-term effects. In each of these few cases, the reason for the ban had been an extreme upsurge in measured traffic (dozens of times within a few hours). We have never heard of our users being penalized by or even receiving any kind of a warning from other counter providers. 2. Is my license key good for 50,000 hits a day or in total? The number of hits you pay for (e.g. 50,000) is a total and not a daily quantity. You can allocate the quantity you have purchased to one or several websites at once in any way you wish. Upon reaching the purchased limit, you have the option of ordering a new key for a desired quantity or topping up the existing one. 3. How long will my license key remain active? A license key has no expiration period. You can use it for managing hits on any number of your websites simultaneously, even from one computer, until you have used all the visits purchased. 4. How do I get visitors from a particular country/region only? RateMeUp uses a frequently updated list of so-called anonymous proxy servers. The list contains servers located all over the world, since there is simply not enough anonymous proxy servers in one particular country. 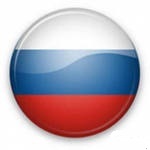 At the moment , most of the proxy servers we use are located in Russia and Eastern Europe, and others in the US and China. 5. Can I manage the hits for the same website both from my home and work? 6. What is the price for the entire application/server side of the application? RateMeUp is a complex software suite comprised of several servers and a number of specialized utilizes. If you are interested in purchasing RateMeUp in its entirety, make sure you clearly understand its purpose and conditions of use. Please send a detailed request to our support service, and we will get back to you as soon as we can. 7. Is it possible to develop a separate, custom version of the application specifically for my website? RateMeUp was conceived as a software product intended for a wide user audience. Currently, the development of custom-tailored individual versions is not in our plans. However, a new challenge with a promising perspective may be of interest to us. 8. I started the program but it cannot detect a particular hit counter on my website, how do I fix this? If you are certain that your website has hit counters installed which are listed as supported by RateMeUp, but the program is not seeing them, please make sure the code of the counter(s) in question is not obsolete or has been modified by your webmaster. If the problem persists, please email to our technical support: info@ratemeup.ablinov.com. 9. I started the program, it detected all the counters and began working on the stats, but I cannot see any apparent results on the counters. What might be the problem? Most likely, you just need to wait a little until the newly added requests get processed on the server and reflected in your site stats. Processing times vary from counter to counter and may take up to several hours. If you see no results in 24 hours, please contact our technical support at: info@ratemeup.ablinov.com. 10. What is the program's highest output per hour/day? The volume of statistics adjustment depends on many factors, including, but not limited to, the quantity and type of the hit counters being adjusted, the click depth settings, and the server loads. Typically, the daily average is about 3,000 hits. 11. Why does the program say 500 requests have been sent while the counter shows only 480 hits? Counter adjustment is a complex process. The server of the counter provider may disregard a certain percentage of incoming requests. For privacy reasons they are sent through anonymous proxy servers. The list of proxy servers is long and gets updated on an hourly basis. However, once the counter provider learns that a server is an anonymous proxy, the latter may get blacklisted. Our software takes care of sending the requests but obviously cannot guarantee that the counter provider registers every single one of them since this depends on the type of the counter, the program settings, and the proxy servers being used. It is technically impossible for an outside agent to interpret exactly how the counter provider's server handles an incoming request. This is why the numbers of ordered requests and actual counted hits are always vary from one another, with the average difference of about 15% in either direction.